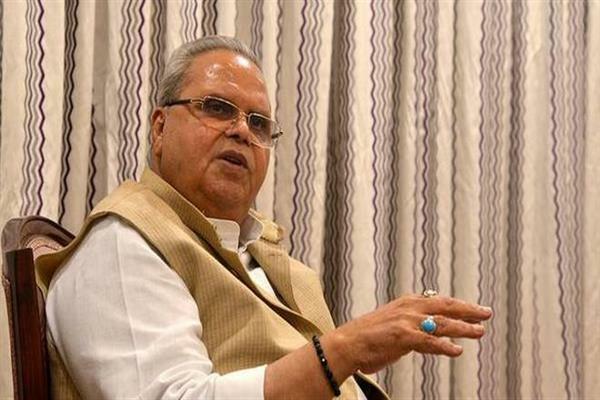 JAMMU, APRIL 17: Governor Satya Pal Malik, Patron of the J&K State Bharat Scouts and Guides (S&G), presented ‘Rajya Puraskars’ to 330 Scouts and Guides at an Award Presentation Ceremony held here today. 4 teachers who did advance training were also awarded certificates and badges. Sh. Ganai shared his experiences of being associated with Scouts and Guides movement and highlighted the importance of such activities in shaping sound minds and healthy bodies. Sh. I.D. Soni, State Chief Commissioner, J&K State Bharat Scouts and Guides presented a brief report of the movement while Ms. Roma Wani, Senior Vice-President, J&K State Bharat Scouts and Guides presented the Welcome Address.